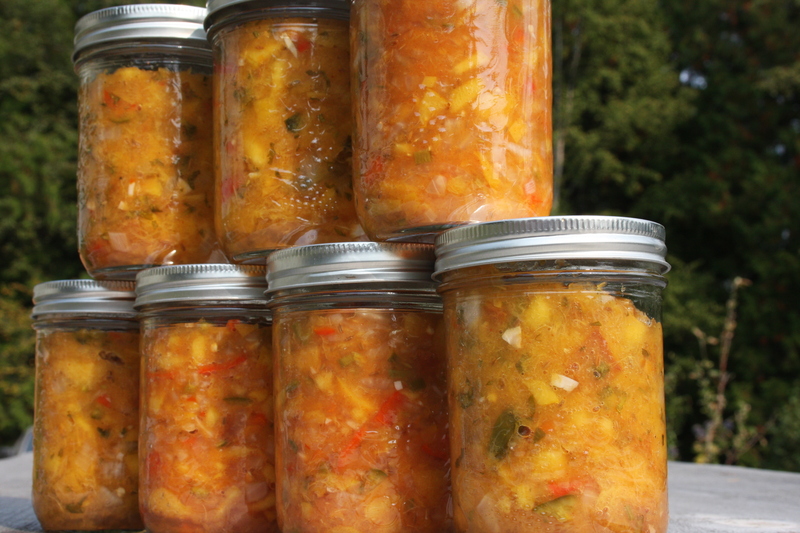 nectarine salsa : canned | eating with S.O.L.E. Nope I did NOT remove the skin… and in fact I don’t often remove the skin of anything! Nectarine skin unlike peach skin is pretty un-offensive. I actually purchased though, just yesterday a peeler made for soft fruit skin, and I peeled peaches before drying them. It worked like a charm and made the task seem a little less arduous! We had the nectarine salsa last night on salmon that a co-worker caught and I traded for some of your famous HP sauce – ain’t life grand!!! I love this food swapping lifestyle!